Eric Asimov, The New York Times wine critic, is still learning about wine. “Absolutely,” he says. He’s in Berkeley, CA at Kermit Lynch Wine Merchant, about to do a reading from his new book How to Love Wine. Asimov also admits to being wrong sometimes on blind tastings. Surprising? Yes. Comforting? Oh yes. “People often talk to me about how they feel about wine and often it takes the form of telling me their troubles ‘I like wine I know I should I just don’t get all those aromas and flavors,” says Asimov. This creates what he calls wine anxiety. And that’s what’s standing in the way of people loving wine. The culprits? There are many. Tasting notes and scores are a big part of it. But so are books on mastering wine, wine appreciation courses and lessons on how to taste wine. Fear of ordering the wrong bottle, of wasting money all add to it. The language of wine is also intimidating. Asimov says there’s this notion, “that before you can simply enjoy wine you’ve to to know a lot about it, that you have to be a connoisseur.” That is backwards to him and it pains him to see people being anxious about their own ability to enjoy wine. Wine should be like anything else you fall in love with, whether it’s opera or art or sports, if you do it a lot, you plunge deeply into it because you care about it. I felt that we never talk about the emotional connection people have with wine, that’s why I call the book How to Love Wine. Part memoir and part manifesto, Asimov writes about his journey along the wine road, and how he became the Times wine critic. It’s not a straight path. His discovery of wine did not start with an earth shattering glass of first growth Bordeaux or grand cru Burgundy from a great vintage. Instead, it was a glass of Beringer White Zinfandel, shared with friends on a over a garlic shrimp dish. Very brave to admit that (do I hear a collective sigh of relief?). 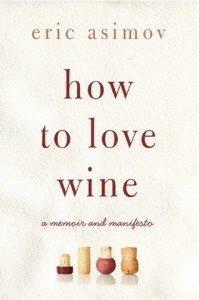 How to Love Wine is not a guide on how to taste wine, or a buying guide. You won’t get recommendations on what wine you should or shouldn’t drink. There are no scores or tasting notes. Asimov states that he’s not on a crusade to get more people drinking wine. In fact he says, “Nobody is obliged to love wine.” He just wants you to enjoy the wine in the glass on its own merits, and not worry about how well it was or wasn’t rated. 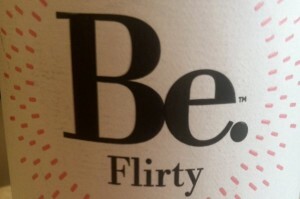 So how do you go about falling in love with wine? Going back to his point about the emotional connection, Asimov says the best way is to “pull corks.” This helps “create a sense of ease with wine and if you do it in a systematic way you can learn a lot about your own tastes and explore simply by drinking wine.” Getting to know what you like and what you don’t will help you become a more confident wind drinker. But it takes time, and a lot of pulled corks. Asimov’s top recommendation for finding wines you might enjoy is to get to know the folks working at your local wine shop. The merchants know the wines, can talk to you about them and make recommendations and food pairings. They can help you put together a case or half case of wines for you to try that fit your budget. The merchants are there to help you and show you what they are excited about, so don’t be afraid to ask. They won’t think any less of you, and usually those recommendations turn out to be very good, even great bottles of wine. The universe of wine aficionados is wide, and each personal arc of discovery differs. Some people will always be content to rely on scores and notes to tell them what to buy, and absolutely nothing is wrong with that. But in the last decade, there has been the decentralization of critical thinking about wine in North America and Europe. It’s a healthy evolution and points to a rising level of confidence in the small fraction of Americans who drink the vast majority of wine in the United States. As Asimov writes in his book, “The primary purpose of wine is to provide pleasure and refreshment. It can do much more than that, but should never do less.” With more and more of us discovering wine, falling in love with wine, and even trusting our own palates, it’s good advice to follow.